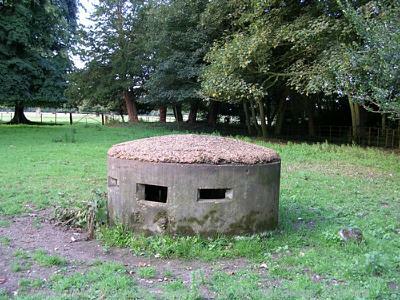 A very rare example of a 'Norcon' circular pillbox, from World War Two. Very rare 'Norcon' circular type with domed roof. Protected RAF H.Q. at Hall. C. Kolonko (HES) carried out a photographic survey of this WW2 pillbox. The Pillbox is aligned east to west with the entrance facing west. 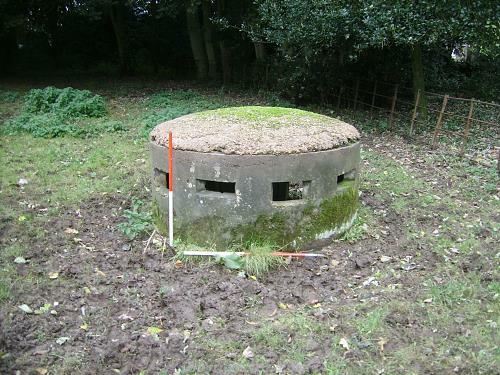 This would have allowed the pillbox to cover both the entrance to the hall and the field to the east. A number of original wooden brackets for shelves survive internally. These were affixed to the structure by a series of bolts which have been simply punched through the pillbox's 15cm thick walls. 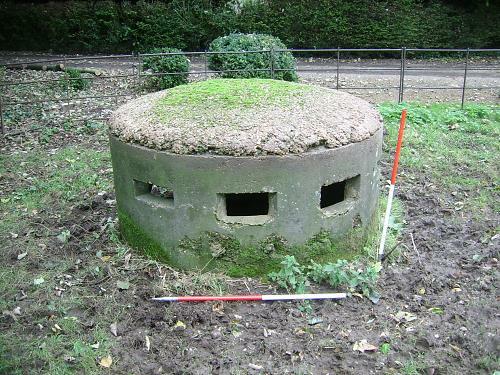 The pillbox is in excellent condition. C. Kolonko (HES), 22 October 2012.